Why yes, it is the last day of October! 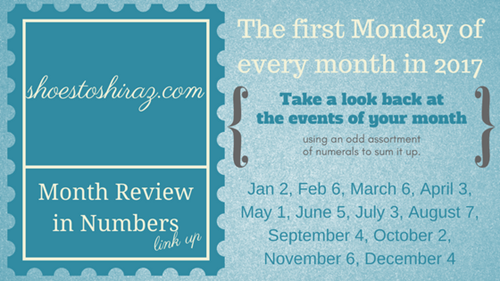 Here’s a look at our month with Shoes To Shiraz and her monthly Month Review in Numbers Link Up! Days The Kids Were Off From School – 5 for Gabbie and 6 for the boys, plus 2 half days and one late start.